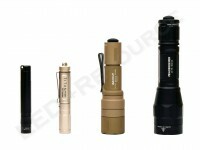 As the saying goes, the most useful flashlight is the one that you have with you. 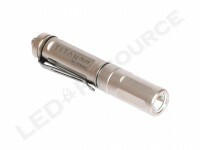 The SureFire Titan and Titan Plus models are compact lights designed to fit on your keychain, making sure your flashlight is with you wherever you are. 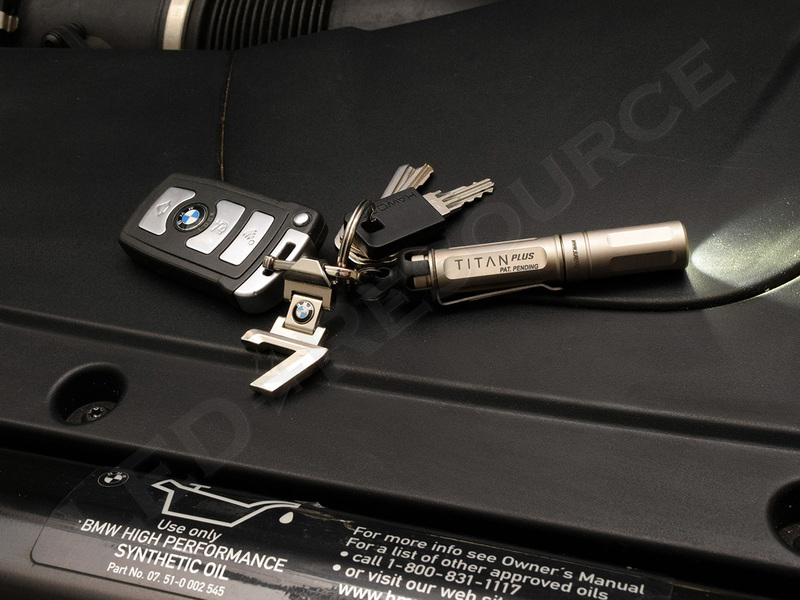 Not to be confused with the previous SureFire Titan T1 or T1A Titan models, which are specialty lights with hefty price tags, the new Titan keychain lights are more affordable and use a single commonly available AAA battery. 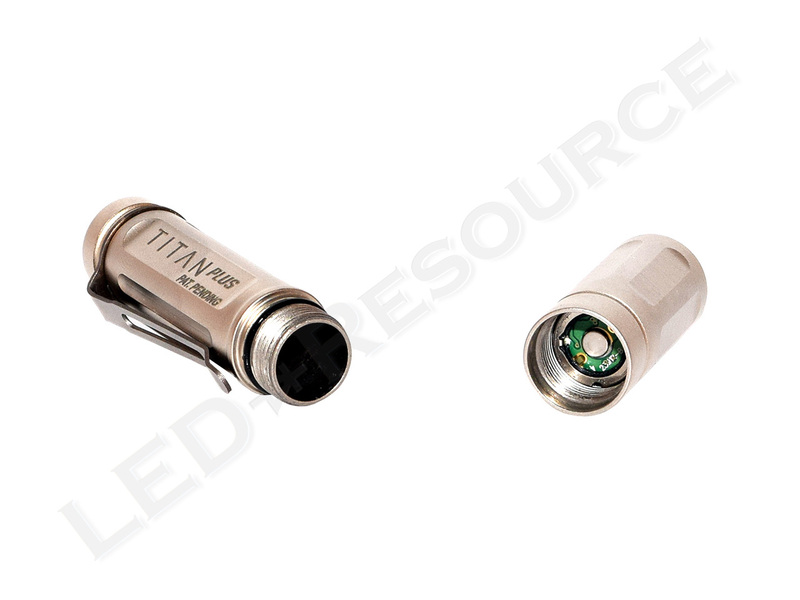 The Titan (Titan-A) is a dual-output light with up to 125 lumens, and the Titan Plus (Titan-B) is a variable-output light with up to 300 lumens. 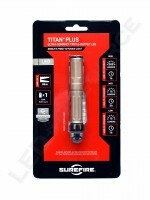 In this review, we’ll take a look at the SureFire Titan Plus keychain light. Weight with Battery: 2.0 oz. MSRP for the Titan Plus is $99, and the light is only available in nickel-plated brass. Included in the blister packaging are: SureFire Titan Plus, 1 x Panasonic Eneloop Pro AAA (installed), quick-detach tailcap, and user manual. 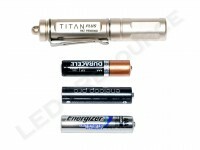 The Titan Plus uses a common AAA battery and works with alkaline, rechargeable NiMH, and lithium primary, but rechargeable NiMH is required for the maximum output of 300 lumens. SureFire includes a Panasonic Eneloop Pro, which is currently the most advanced NiMH AAA with a typical capacity of 950mAh (900mAh minimum), low self-discharge (retains 85% after one year), and can be recharged up to 500 times. However, a battery charger is not included, so make sure you have a NiMH charger with independent channels and can charge a single battery. 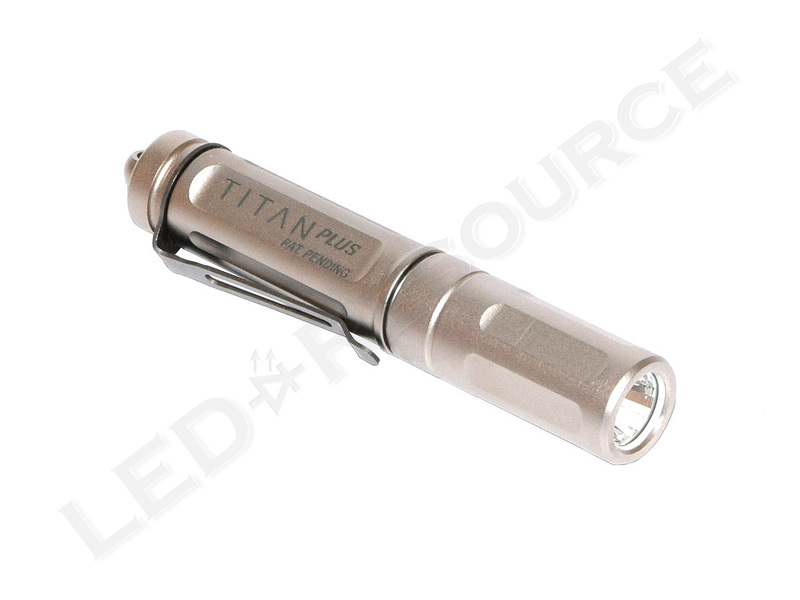 At 3.4” long, the Titan Plus is not the most compact keychain light due to additional heatsinking in the head needed for the higher output, as well as a longer body to accommodate the removable pocket clip. 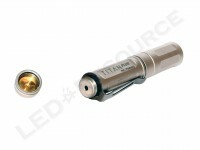 The brass body of the Titan Plus is nickel-plated for protection against scratches and corrosion. 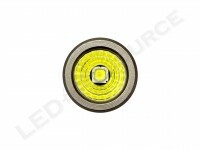 The head features an anti-reflective coated glass window and a faceted reflector. 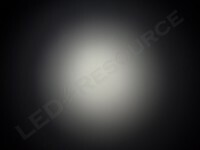 Flat ridges on the head maintain the smooth profile while providing some grip for turning on the light. 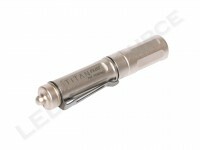 The pocket clip is attached to the back of the Titan Plus and can be removed after unscrewing the end cap. A plastic quick-detach tailcap allows the Titan Plus to be easily separated from the keychain when needed. 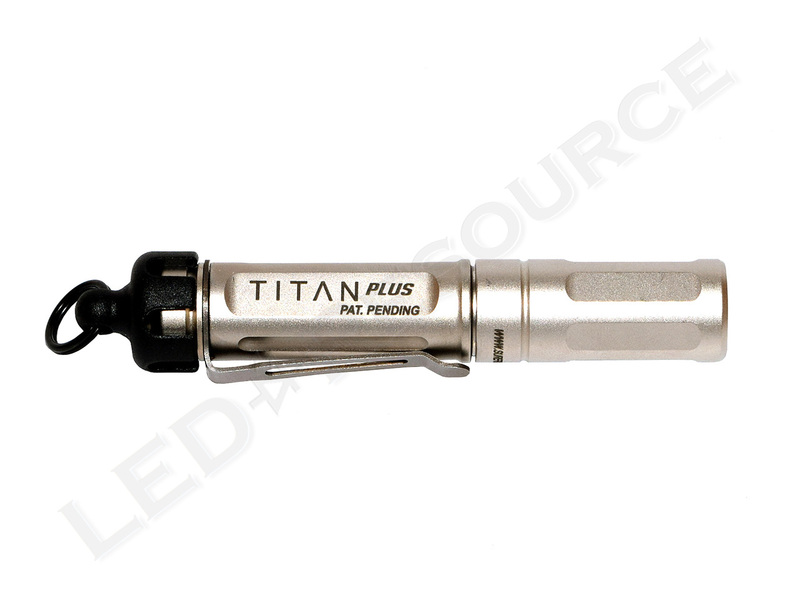 The split ring can also be directly attached to the end cap on the Titan Plus if a more secure attachment is desired. 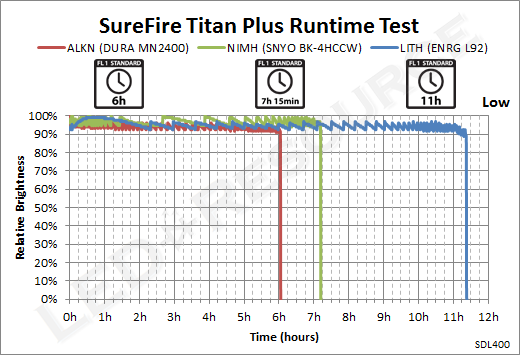 Three output levels in the order of Low-Medium-High can be activated by twisting the Titan Plus on and off. One nuance with the twist interface is that High cannot be activated too quickly from Medium without a pause, otherwise it will operate as Low-Medium-Medium-High. A single twist will activate low output. 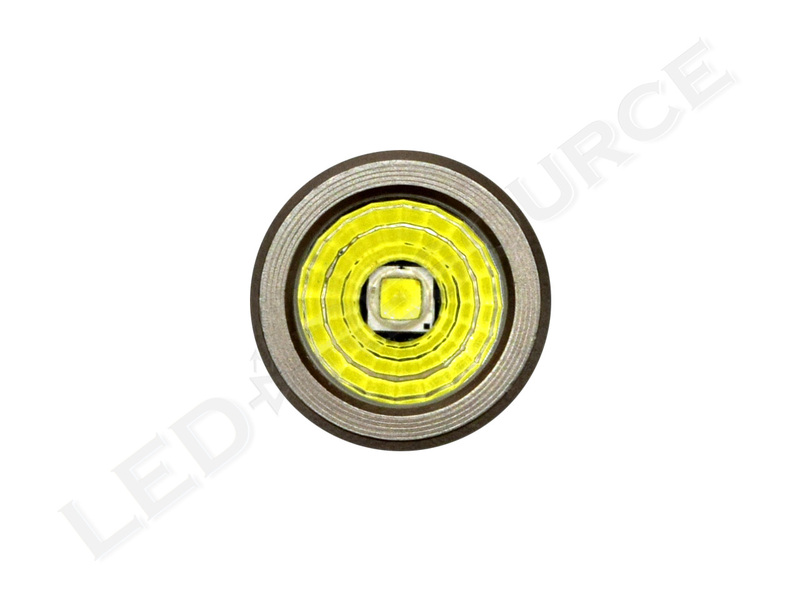 Twist the light on, then off, and then on again within one second to activate medium output. Twist the light on, then off, then on again within one second, then off, and then on again within one second to activate maximum output. 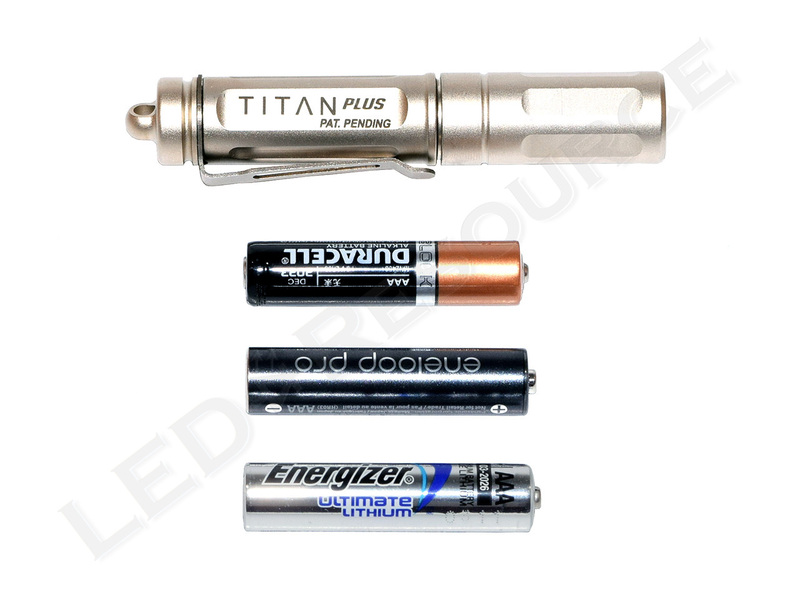 Using a Cree XP-G2 LED, the Titan Plus produces 300 lumens of maximum output from a single NiMH AAA battery with an intensity of 1,100 candela. The faceted reflector creates what SureFire refers to as the MaxVision Beam, which is a broad beam pattern without a significantly brighter hotspot that can be distracting for close-up work. Due to the high current draw, rechargeable NiMH is required for the maximum output of 300 lumens, and High is best used in bursts as output quickly drops after 3 minutes. With an alkaline or lithium primary battery, High mode is limited to ~160 lumens and actually tripped the thermal protection in the Energizer Ultimate Lithium, resulting in the sharp drop in output after 5 minutes. On Medium and Low, regulation is well maintained and lithium primary provided the best performance. The SureFire Titan Plus was never intended to be the lightweight and compact keychain light – that would be the Titan (in fact, the Titan Plus is more than twice as heavy as the Titan). 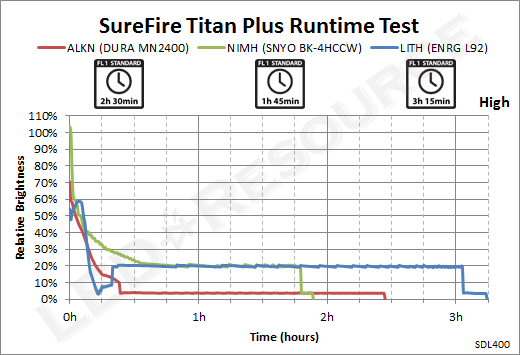 Instead, the Titan Plus has a couple advantages at the expense of size and weight. Other than being the first single AAA keychain light with 300 lumens of output, the Titan Plus includes a pocket clip and quick detach tailcap for additional carrying options. Its nickel-plated finish not only looks great, but also stands out among the typical black hard-anodized aluminum flashlight. Even though the maximum output isn’t exactly practical for everyday use due to the short runtime and battery limitations, it’s certainly beneficial to have that higher output mode available if needed. 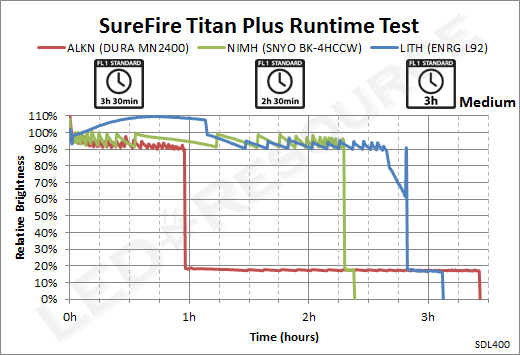 The three output levels of the Titan Plus are spaced out with a better balance between output and runtime as compared to the dual-output Titan, which only has a high mode of 125 lumens with one hour runtime and the same low mode of 15 lumens. Medium mode on the Titan Plus has sufficient output and runtime for most uses with 75 lumens and a solid two-hour runtime. 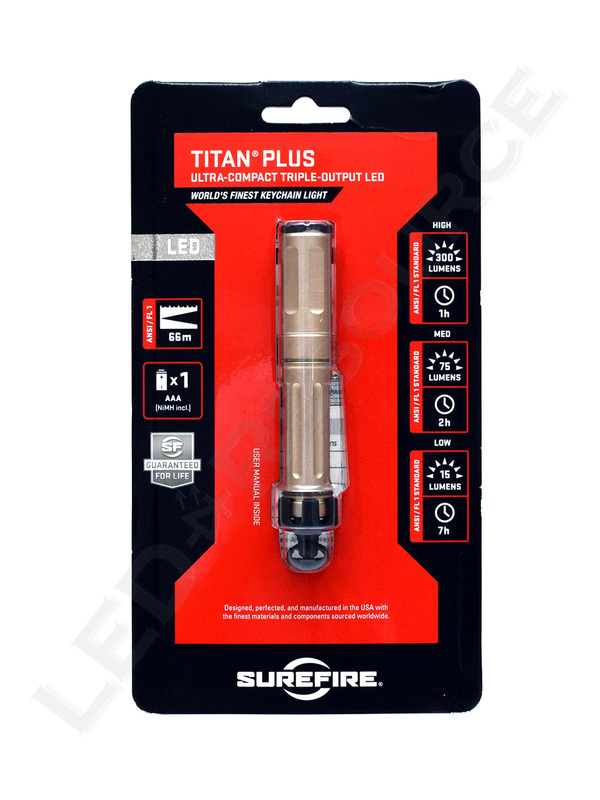 For the occasional need for more output, the SureFire Titan Plus delivers 300 lumens and is sure to impress. Great review! Most interesting. Many thanks. With the Titan plus is it possible to revert the Pocket clip? There is no attachment point at the front of the light because that’s where it twists and the clip would also be loose. I don’t think there are any two-way clips available for this light, but that is what you would need.